Jean-Eric Vergne was dropped from ninth to tenth in the final classification for the US Grand Prix after being penalised for making contact with Romain Grosjean. While fighting for ninth place, Vergne launched his car up the inside of Turn 1, making contact with Grosjean and dropping the Lotus back two places. 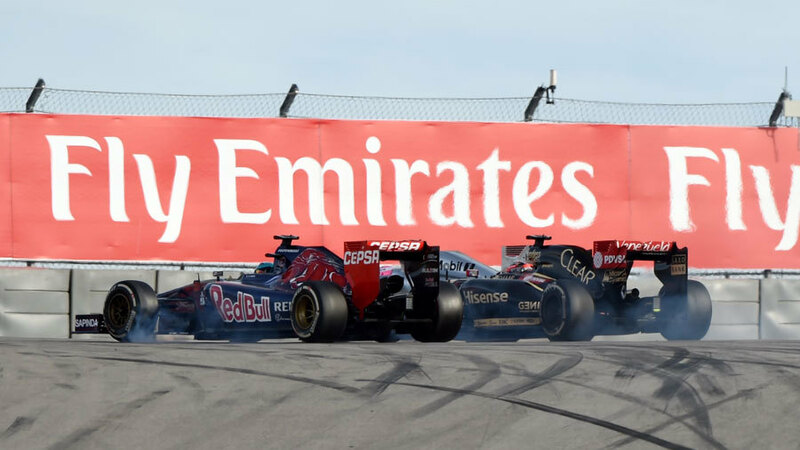 The move was deemed worthy of a five-second penalty for Vergne, which dropped him to tenth behind Grosjean's team-mate Pastor Maldonado, who was also penalised five seconds in the race for speeding in the pit lane. "The driver of car 25 [Vergne] is considered to be predominantly at fault for the contact with car 8 [Grosjean] in Turn 1 and the consequent forcing of car 8 off the track," said a statement from the stewards. Vergne was also given a penalty point, bringing him to a total of three this season.